Red is a story about a crayon labeled as red but that is actually blue. 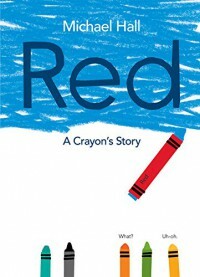 The story is composed of the crayon's family and friends attempting to 'fix' it so it can be a red crayon like it 'should be' since it is labeled red. Close to the end of the story, a new friend encourage the 'red' crayon to draw something blue, which is what this crayon truly is. The 'red' crayon realizes it is blue and nothing has been wrong with it. I would use this book in my class close to the beginning of the school year. I would encourage my students to think about a time when they felt like the red crayon and maybe write a short story about it and what happened with that situation. 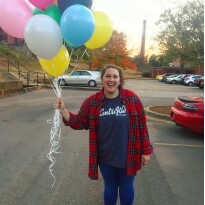 I would especially use this story with a class that had students with disabilities to emphasize their abilities and that they might just need to try another way to accomplish a task.